Llandysul and District Local History Society - Interested in Local History? OES GENNYCH CHI DDIDDORDEB MEWN HANES LLEOL? Hoffech chi olrhain hanes eich tŷ neu'ch fferm? Yna beth am ymuno â'r gymdeithas hanes leol gyfeillgar yma? 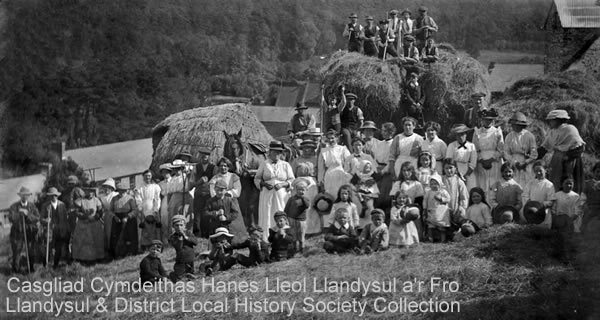 Set up in 1999 Llandysul and District Local History Society has grown in membership and collections. We have an exhibition in the Library. We have transcribed the Parish Records for St Tysul (Llandysul), St Davids (Capel Dewi), St Ffraed (Tregroes) and St John (Pontsian) from 1799-1910. We have also recorded the gravestones for the churches of St Tysul (Llandysul), St Davids (Henllan), St Davids (Bangor Teifi), St Mary's (Llanfair-Orllwyn), St David (Capel Dewi), St Ffraid (Tregroes) and St John (Pontsian). These are all available to buy from the website. Cymdeithas Hanes Llandysul visit to "Internal Fire Museum of Power" from Lesley Parker on Vimeo.